I like to cook. I like to discover new ingredients, dishes and techniques, and learn to cook them. I don’t always do a good job of it, and I haven’t had any formal culinary training. From September 2006-September 2008, I went AWOL from eating restaurant, take-out, or street stand food throughout the five boroughs of New York City. 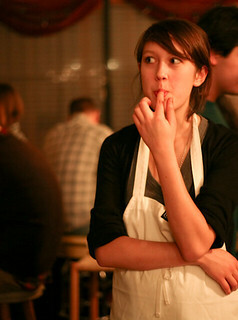 While becoming an office brown-bag queen and eating pretty much only food prepared by myself, I tried to explore other avenues of “not eating out” — diving into dumpsters, foraging for edible weeds, cooking for communal dinners and supper clubs, and throwing or participating in amateur cook-offs and events. I wrote a book about this experience, called The Art of Eating In: How I Learned to Stop Spending and Love the Stove. 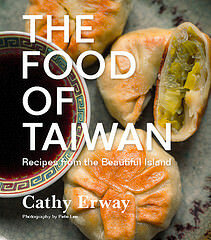 In 2015, I took home-cooking back to my mother’s roots and published the cookbook, The Food of Taiwan. This is still a blog about not eating out in New York. I’ve compiled a list of Top 9 Reasons For Not Eating Out here, and frequently post a “Reason of the Month” on this blog. I like to profile people with a passion for home cooking and spotlight local cooking events, markets and farms. Since 2009, I’ve enjoyed interviewing guests on all things home-cooked on Eat Your Words, my weekly show on Heritage Radio Network. I’ve written for other publications and enjoy community on Twitter, and on my Facebook pages for The Food of Taiwan and The Art of Eating In. For more on this blog’s mission, see my TEDx talk in 2012. The recipes on this blog are all original and have been tested in my kitchen here in Brooklyn. The ones you’ll see are only those which are, in my opinion, good enough to make one not miss eating out (save for the occasional disaster). There are plenty of vegetarian entries, though I myself eat — and cook — just about everything, from tripe to sea cucumber, and try to do so seasonally, locally, sustainably, cost-efficiently and healthily while I’m at it.